Independent. Innovative. And always open source. You&apos;ve found the heartbeat of .NET—where projects and communities come together to get things done in our open-source world. Share your skills for the greater good. Meet in person, get involved virtually, and stay on top of the latest news, meetups, and events. Our main focus? YOU… and all you do with .NET. There&apos;s a growing list of projects that are currently taking advantage of our open-source Foundation, benefitting from commercially friendly IP, copyright terms, and licenses. We work not only with Microsoft, but with the broader industry to increase exposure of .NET&apos;s capabilities. All our resources are designed to support developers and your projects, and help promote your endeavors with like-minded folks! 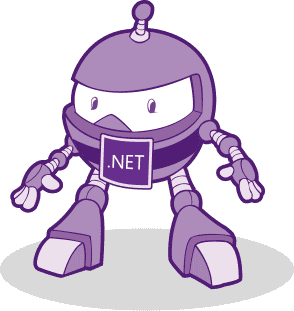 The .NET Foundation is a 501(c)(6) non-profit organization, which was established to support an innovative, commercially friendly, open-source ecosystem around the .NET platform. Developers meet every day, across the world, in .NET user groups. Join a group—or a few!—to swap knowledge, discover opportunities, or find your next hire. Join Gravity IT Resources and us on Tuesday, April 23rd, at 6:00 PM in the Redwood Conference Room of the Microsoft Charlotte Office. Join us to go over the new features in visual studio 2019. Quer aprender a criar aplicativos para Android e iOS de graça, com aulas ministradas por especialistas da comunidade? Inscreva-se na #MaratonaXamarin http://maratona. The options for pushing your . Gearing up for an event of your own? Visit our Presentation Library to download FREE workshop materials to get a head start. Browse available resources, including presentations, slides, code, and scripts. We have everything you need to fill a one-hour intro or a full two-day course. Have a passion project you&apos;re ready to turn into a reality? A little gem of an idea that you believe in, but haven&apos;t gotten around to? There&apos;s no time like today to get going. Start your own project, use some code to get traction, and invite fellow coders to bring it to life. It&apos;s more fun with others lending a hand!